Loch Earn Railway path phase 3 has been completed. 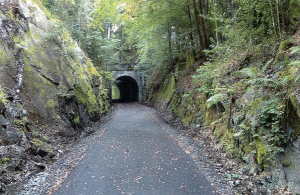 Phase 3 of the Loch Earn Railway path has now been completed and is open to the public! 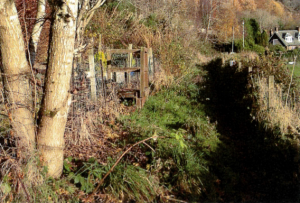 The Loch Earn Railway path includes RPL’s land SC075 and we have granted St. Fillans Community Trust a 21 year lease over our land. 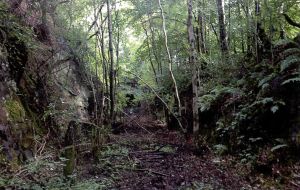 The old railway route is currently being restored as a cycling and walking pathway that links the villages of Comrie, St Fillans and Lochearnhead. 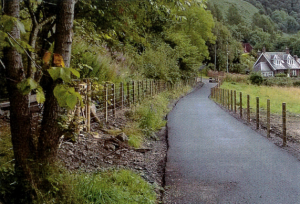 The project is a joint effort between St. Fillans Community Trust and Cycling Scotland’s Transport, planning & Engineering team. Project funders include Sustrans, Loch Lomond & the Trossachs national park and the Scottish Natural Heritage trust. Phase 4 is likely to be delivered in Spring 2018 subject to planning and funding arrangements. Phase 4 will be the restoration of a 2km stretch of route closer to Lochearnhead.